If you ever wanted to try your hand at making shoes for your Kidz 'n' Cats doll, this is the PDF pattern for you. It's a great beginner pattern. 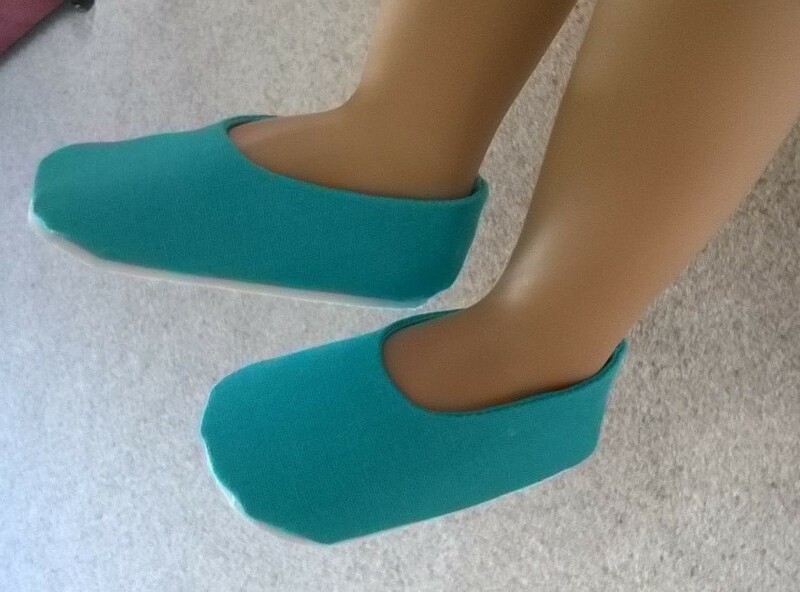 Minimal sewing, a little bit of glue, really cute shoes! It's also a great way to use up scraps from your stash. It only takes a little bit of fabric to make an awesome pair of shoes. Note: This pattern is designed specifically for the Kidz n' Cats doll. It does not fit an American Girl Doll. The Plain Janes shoe pattern is the same shoe design to fit an 18 inch American Girl Doll. I am so glad I got this wonderful pattern! Fit is perfect and it is really easy to make. Highly recommended. I was already a fan of the LUB Plain Jane Shoe Pattern and now I'm a fan of this one too. I don't have any Kidz n Cats dolls but these shoes fit my Journey Girls. The fit is perfect and the instructions are clear and easy to follow. These shoes are a great choice for someone who has never made shoes before because you are walked step-by-step through the process. There are so many ways to embellish these shoes and play with fabric combinations. I will make these shoes again and again!